Plantain is a versatile food. 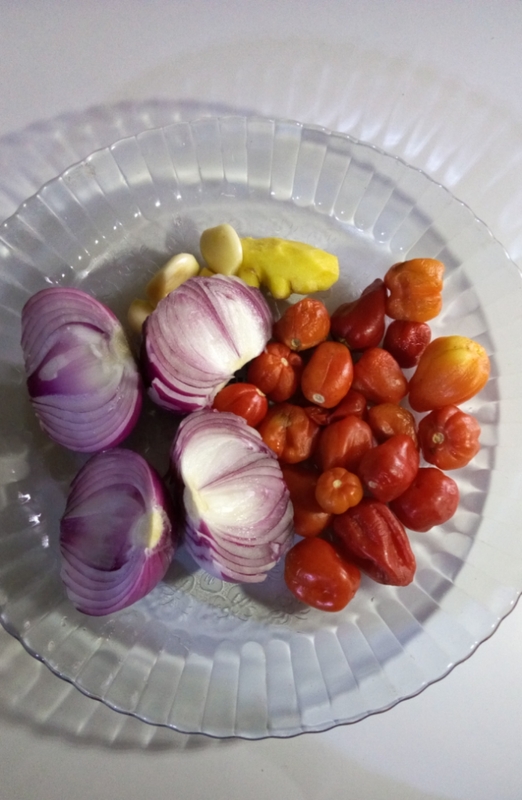 You can roast it, fry it in different ways, turn into flour, cook it as a porridge or just boil it. 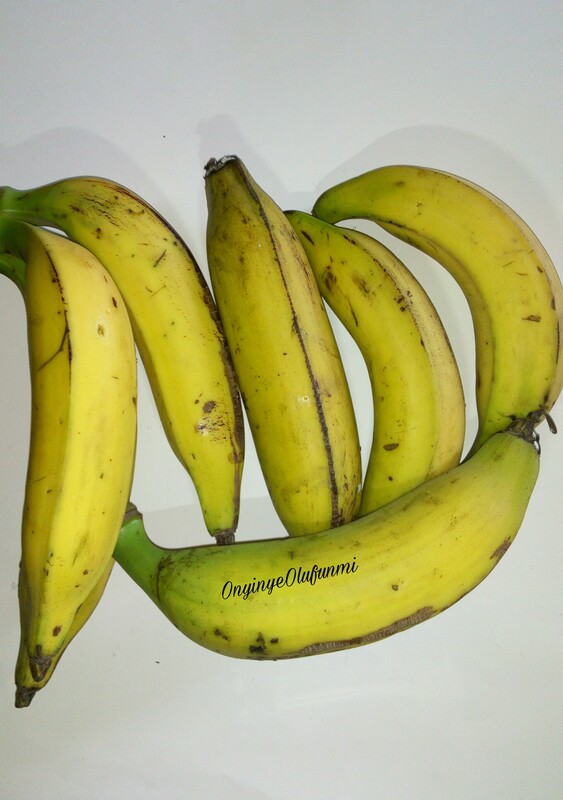 The more popular version of plantain porridge is the with the unripe one because it has more iron. However, I’m using the ripe ones, although it’s not so ripe. Plantains are an excellent source of potassium, fibre, magnesium and iron. It has vitamin A, C, B6. This is fairly easy to make. Blend the bell peppers, onions, ginger and garlic. Add to little boiling water (about one glass), add salt, crayfish and the dried fish. Slice and rinse the plantain then add also. This is because ripe plantains boil faster. If it was unripe, the plantains would go in first. After five minutes, add the palm oil. Then shred the ugu (pumpkin leaves). I didn’t slice because I wanted something different and wanted to drink the juice. 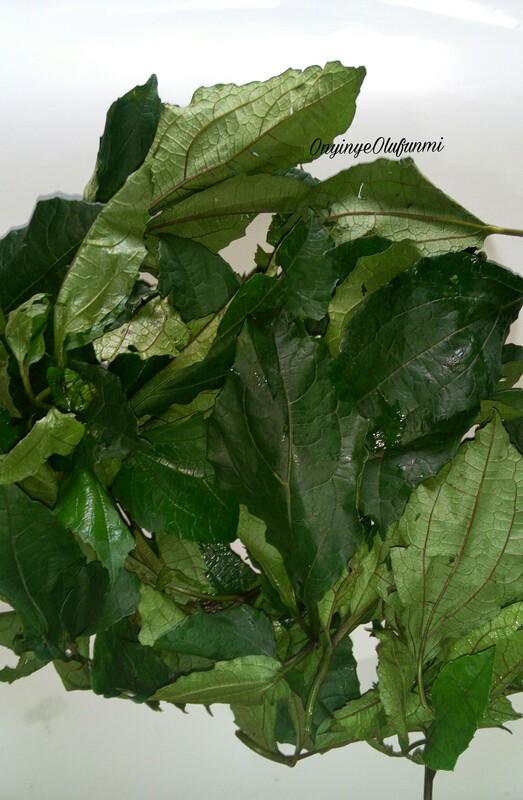 Add the shredded ugu after seven minutes, stir, and allow to steam for two or three minutes. Then the food is easy. It’s as simple as that. 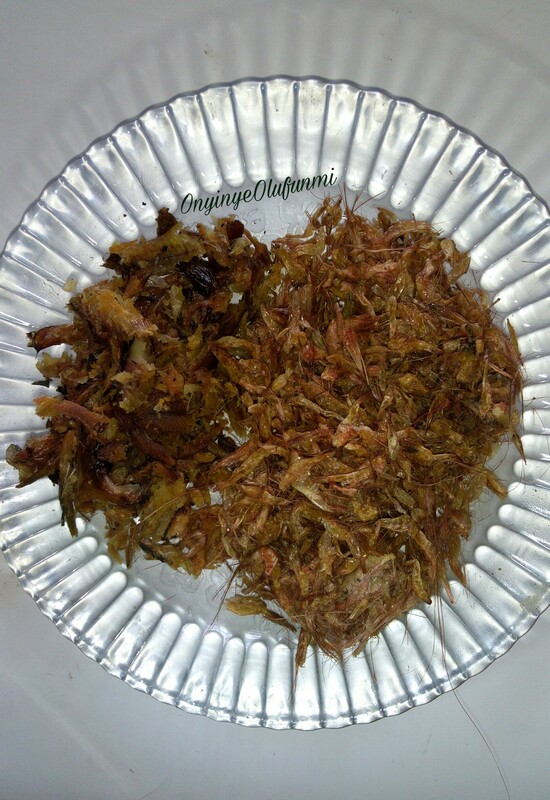 Onyinye will just be making somebody to salivate. Nice delicacy, I have no doubt it will be mouth watering. I will try it out.